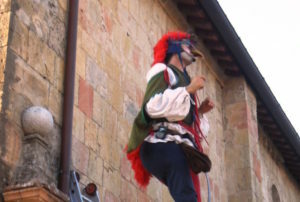 Monteriggioni, a completely intact walled town ringed by towers on a hill near Siena, invites the public to celebrate medieval culture through its special events during the months of June and July. The town is located inside a circular enclosure, built between 1213 and 1219, and will be filled with the richness of medieval culture and festivities. 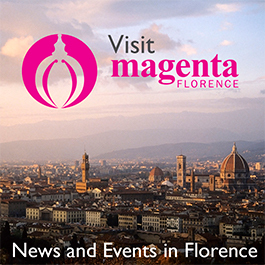 The first set of events, called “Monteriggioni di torri si corona,” (Monteriggioni Crowned by Towers) which take place on June 24 and 25, is a historical reenactment of the Battle of Colle Val d’ Elsa, which occurred between June 16 and 17 in 1269. It was a battle between the the Ghibellines of Siena and the Guelphs of Carlo D’Angio and Florence. This dispute resulted from political differences, because the Ghibellines favored the Pope, while the Guelphs were on the side of the Holy Roman emperor. In addition to this reenactment, there will be falcon displays, live music, medieval taverns, knight showings, and blacksmiths present to recreate the essence of the period. Admission is €8. The next series of events will take place between July 6-9 and 13-16. Patrons can enjoy a medieval feast, beginning at 8:45 pm, with spiced wine and a chance to view performances by magicians, jesters, monks, musicians, artists, and dancers. Crafts markets and taverns will be open, where customers will have the chance to exchange their euros to use traditional medieval currency. There will be special activities available to children as well, so they can participate in games and theatre. Prices range from €9-13, depending on the selection.